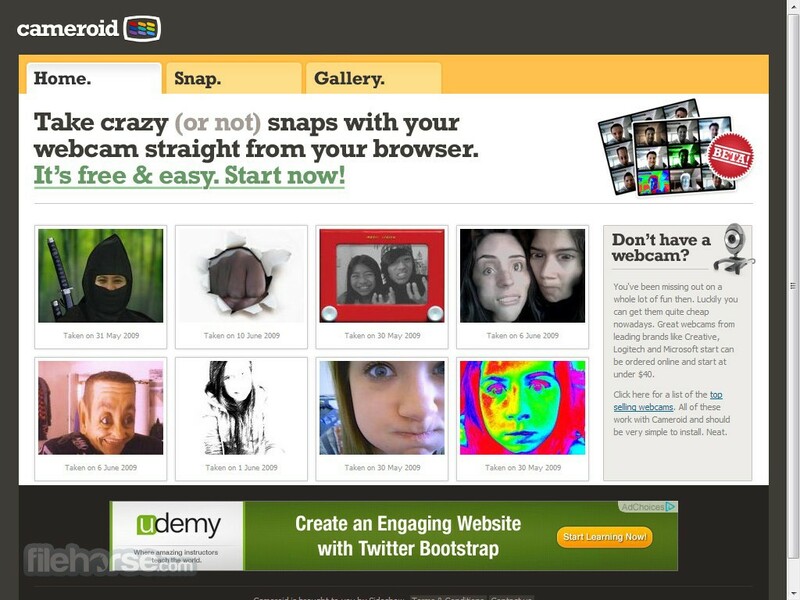 Cameroid is a simple to use, free and fast screenshot capturing, editing and publishing web application that enables anyone to capture themselves on their webcam. With only few minutes of work you can make a quick artistic alteration of yourself with hundreds of fun visual effects, and publish your work of art to friends and family via social network of your choice. 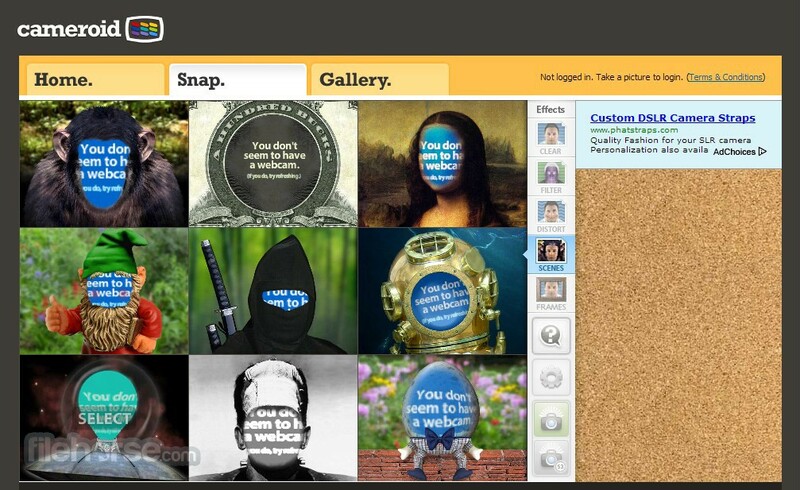 Working with Cameroid is extremely easy. Just capture yourself via webcam, apply some of the numerous effects from our toolbar that offers filers, distortion effects, background scenes and frames, and then simply share it to your friends. It’s that easy! 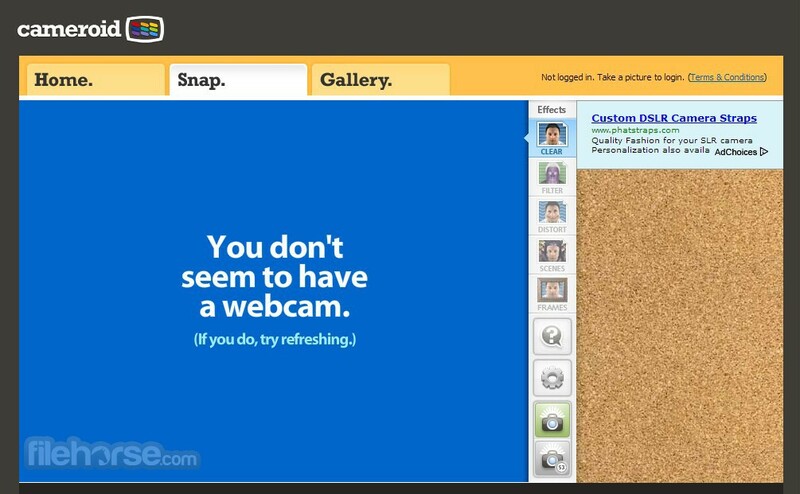 Cameroid is absolutely free, and can be accessed from any modern web browser on both PC and Mac. Make Screenshot with Webcam! With just a simple internet search you can dig up countless web applications that can edit your images, but vast majority of them is intended for serious use. And what will you do when you just need one fun image, image that will be perfect for sharing on social networks with your friends and family? If that is your goal then you need to visit Cameroid right now. Make Screenshot with Webcam! This great online destination was designed from the ground up to serve just one purpose – to take your image directly via your webcam, and then apply to it one of the dozens and dozens fun effects that can make your image really pop? Change the color scheme? Done! Add image border? Easy! Fill your image with various effects that will make your smile pop? Already finished! Same goes for countless of other effects that will make everyone who see your picture smile. All effects can be found in 4 tabs (FX, Color, Morph and Screens), with multiple automatic examples showcased in each of them. Cameroid is incredibly easy to use, with extremely simple interface that is specially created so that truly anyone can transform their image in a fun way in just few seconds. 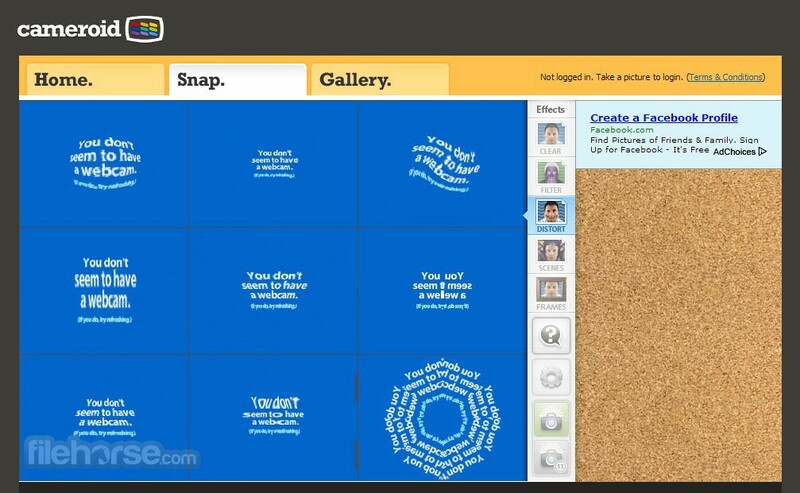 Everything that you create can be easily shared on most popular social networks.